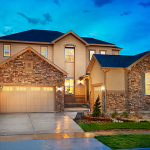 Colorado homebuyers looking for an amenity-rich community south of Denver are often drawn to Copperleaf in Aurora. Today’s guest blog comes from the Copperleaf masterplan and speaks to all the advantages of buying at this extraordinary location. Enjoy! At Copperleaf, one of Aurora’s fastest growing new home communities, there is an abundance of resources to nurture and enrich just about every aspect of your life…from spacious, high-quality homes, to exceptional Cherry Creek Schools and diverse community amenities, to a vast network of unique parks, trails and open spaces. Copperleaf Parks & Recreation — When complete, Copperleaf will be home to more 100 acres of parks and open space and miles of trails. Due to their careful planning and thoughtful attention to detail, these natural resources offer an endless array of recreational opportunities, natural oases and outdoor adventures for all. Just outside your door, you’ll find easy access to a range of unique neighborhood parks that continue to take shape as Copperleaf continues to grow. These parks combine natural and manmade features that residents of all ages can enjoy. Currently, these parks include: The Geological Park, The Presidential Park, The Prehistoric Park, The Western Park, The Ecological Park and several more. 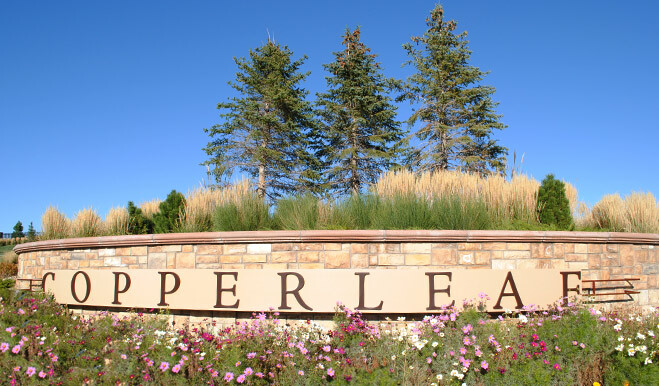 Copperleaf is also planning, in conjunction with Arapahoe Parks and Recreation District (APRD), the Copperleaf Community Park, which will include ballfields, picnic areas and off-leash Bark Park directly adjacent. The Arboretum Pool & Clubhouse — A place to relax, enjoy and connect with friends, neighbors and nature. 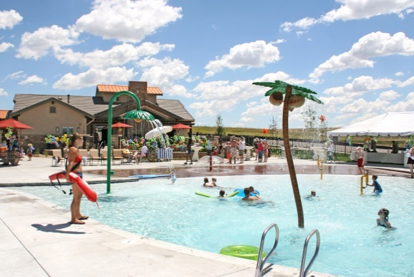 Situated on more than four acres within the heart of the community, the Arboretum Pool & Clubhouse is a great place to escape from the hustle and bustle of daily life and enjoy time with friends, family and neighbors. There’s something for just about everyone to enjoy, whether you’re looking for a refreshing dip in the community pool, a pick-up game with friends on our Sports Court or a great place to get together with family and friends on special occasions—or any other day. The Arboretum area includes: a lap pool and kiddie pool with splash garden, a pool house and toddler playground, a sports court area and a beautiful clubhouse as well as impeccably landscaped grounds. Education & Lifelong Learning — Copperleaf’s commitment to lifelong learning starts with the exceptional Cherry Creek School District. As parents, you want to give your kids a strong educational foundation for their futures—and that’s easy to do at Copperleaf. Copperleaf is already home to six exceptional Cherry Creek Schools and the district plans to add yet another new elementary school in the future to accompany the brand new Mountain Vista Elementary School. When complete, many Copperleaf schools will be within walking distance to various Copperleaf neighborhoods throughout the community through a dedicated trail connector pathway system to be provided by APRD. One of the most highly regarded school systems in the country, Cherry Creek School District in Colorado is recognized nationally for its dedication to excellence and academic achievement. Copperleaf is also home to a wide range of natural resources that promote education, discovery and exploration. Beyond the classroom, residents of Copperleaf enjoy a variety of natural resources that promote education, discovery and exploration including our wetlands area and Ecological Park, our open spaces, and or course, our various parks and planned trail system. In addition, Copperleaf’s commitment to lifelong learning is also reflected in their diverse community programs and amenities such as their Community Art program that features a variety of visual arts throughout our parks, open spaces and community recreation areas to engage and educate onlookers. Whether it’s a park bench or interactive sculpture, each artistic creation will reveal new learning opportunities for residents and visitors. Ready for a new home in Copperleaf? Check out Richmond American’s versatile floor plan options!